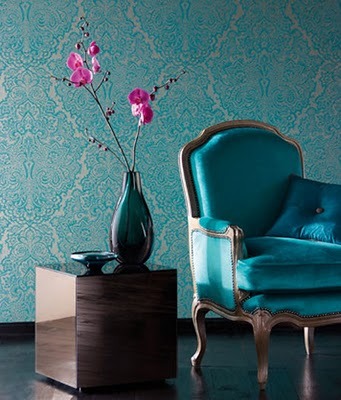 This week’s Tuesday Trigger over at Moxie Fab World is totally turquoise (or teal)…whatever you call it, it’s terrific! I was inspired by the color combination and the simple elegance of the trigger photo. After much deliberation and over-thinking, I went a simple route and came up with this card. I stamped a background with a damask stamp from Impress, embossed a strip of matching cardstock, added some paper flowers with opal gem centers, and stamped a sentiment from the SU “Occasional Quotes” set. 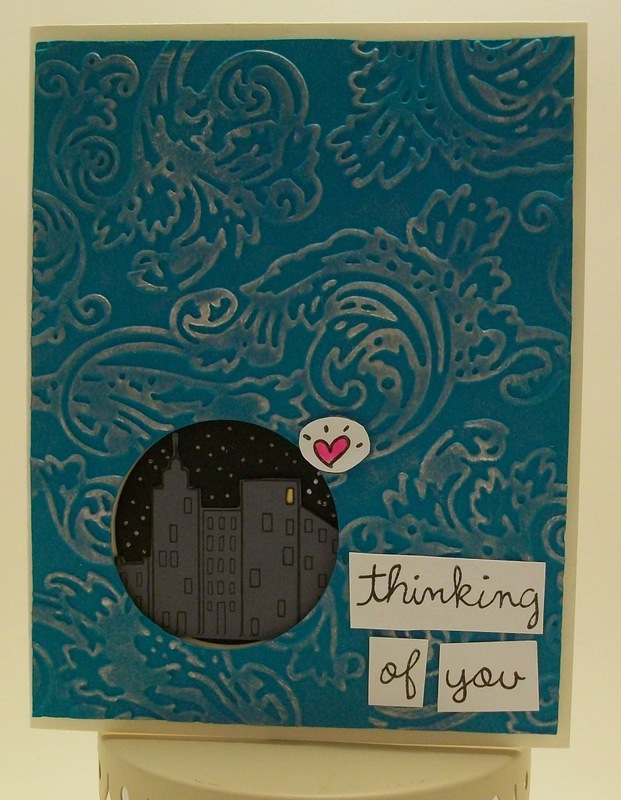 I made the first card in this post late Wednesday night, and didn’t upload it before I went to bed. After I posted it, it looked similar to the one above mine, so I came up with a second take on the challenge. Anyway, thanks SO MUCH for stopping by to look at my cards! 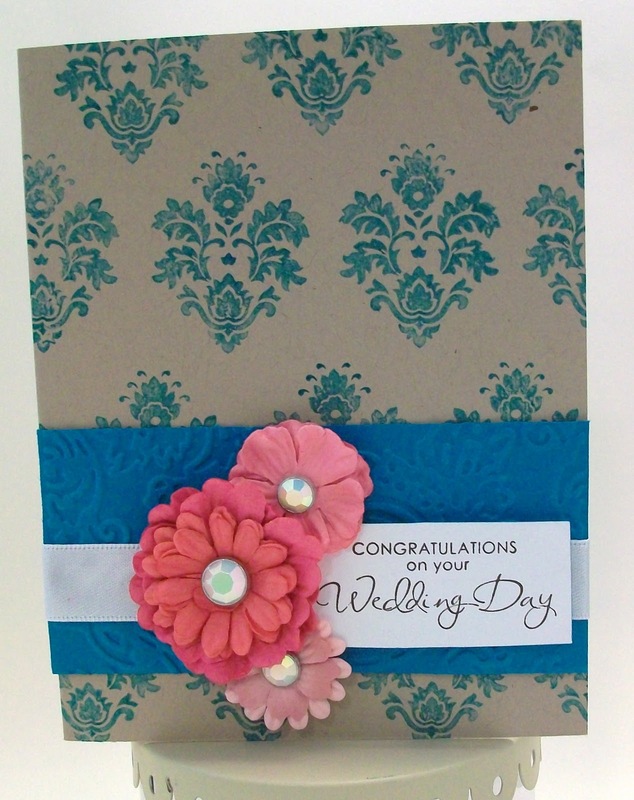 lovely card with great texture. I especially like your flowers with their gem centers!